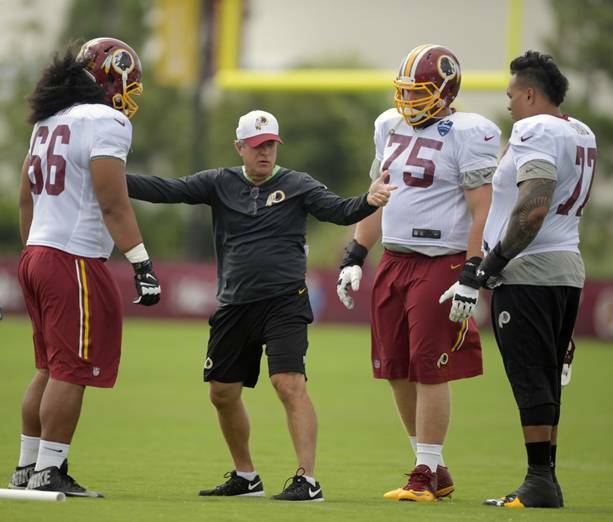 RICHMOND – Through the first week of Redskins training camp, 2015 first-round pick Brandon Scherff has largely flown under the radar. The fifth overall pick out of Iowa in 2015, Scherff, who started every game at right guard for Washington last season, has hardly garnered a mention in Richmond. But that’s a good thing, Coach Jay Gruden says. Many times, if a guard draws some attention to himself, it’s because he has blown an assignment. But Scherff has quietly carried himself and executed like a seasoned veteran. The “us” Gruden referred to includes the coaching and talent-evaluation staffs, and Scherff’s teammates. Scherff said “the game has slowed down,” meaning, he recognizes and identifies things more quickly, and more effectively, and reacts accordingly. He also said that his communication with third-year pro Morgan Moses (entering his second season as the starting right tackle) has greatly improved so they can work in unity. As he came away from his rookie season, Scherff realized one of the most important lessons he learned from the grind of the NFL season actually had nothing to do with on-field work. An avid outdoorsman, Scherff said most of his down time during the offseason consisted of shooting his guns or his bow, or fishing. 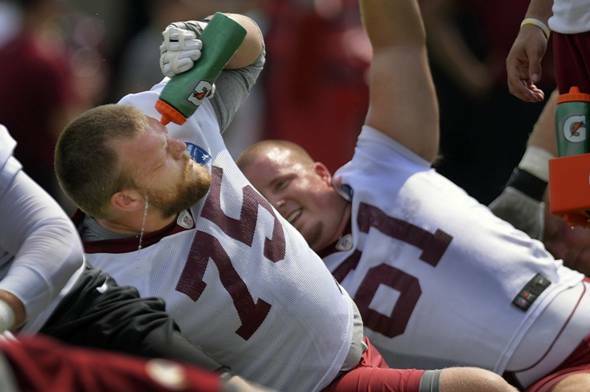 Now back in season, Scherff aims to make a leap forward as he continues to establish himself in the league. But he has set simple goals for himself.